Thoughts: Boy, horror maestro James Wan (The Conjuring, Insidious, Insidious: Chapter 2) sure wants to keep your summer scary. A month after the release of Wan’s The Conjuring 2 comes Lights Out, a Wan-produced feature length adaptation of a scary as all get out short film. 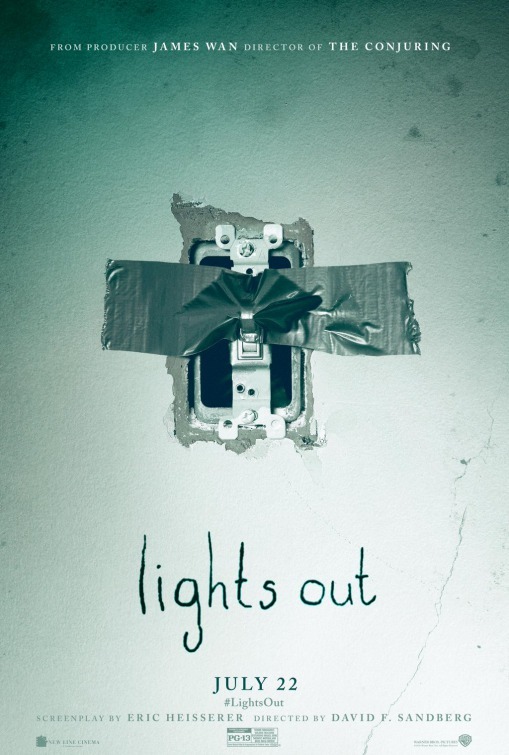 I know that any trailer editor worth their salt can make even the lamest of fright flicks seem like a Grand Guignol spectacle of shrieks, but this first look at Lights Out sent a nice layer of shivers up and down my spine. Starring Teresa Palmer (The Choice), Maria Bello (Prisoners), and Billy Burke (The Twilight Saga: Breaking Dawn – Part 2), this one could be a nice bit of mid-summer frightening fun.